This main page was last updated on 20 January 2016. BUT each individual page is updated whenever I make changes so please come back often to see what I've added. If NEW is marked by the links identified below--then they have been updated since 1 January 2016. Yes--you are listening to the "Ballad of the Green Beret." Having been New York born, a Firefighter/EMT, and a Veteran I want to show my support for all those affected by the events on 11 September 2001. Maggie was an honorary member of the Special Forces. She received her cherished Green Beret and title of Lieutenant Colonel from President Lyndon Johnson. She was reported to have made several jumps from planes and helicopters. She received an Airborne Beret. BUT the Green Beret was what she wore the most. 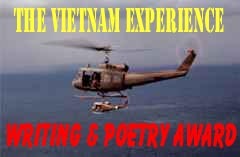 The Vietnam Experience website and Vietnam Veteran Support Network Board wants to recoginze your wonderful efforts at promoting and preserving the history of the Vietnam experience. You honor all veterans with your writings. Now we wish to honor your work, including your contributions at calling attention to Martha Raye. A&E Biography put Martha Raye's life on television. I went to Los Angeles where I did my on-camera interview for the program. "Martha Raye: In Love and War" premiered on 9 October 1999. I'll try to let you know when it will air again--but so far A&E cable TV has not rerun this wonderful program. Meanwhile if you didn't see it the first time keep an eye on A&E Biography to see when it will be rerun. A&E also has the show available on VHS videotape which you can order direct from them or your local Barnes & Noble bookstore. Wait till you hear the music on the CAREER page! I hope it works for you. It was working on my end but now I can't hear it so I'm a little disappointed. CAREER--Learn about her radio, stage, movie, and television days as well as the records and albums she made. PERSONAL--Learn about her family, marriages, child, and grandchild. AWARDS--See all the awards, both military and civilian, she has received. I have started to add pictures of the awards Maggie has received! MAGGIE--Learn a little more about Martha "Colonel Maggie" Raye. TEAM HOUSE--I have finally started adding photos of Maggie's house, better known as her TEAM HOUSE! VETS--Read some very special memories of her from our Armed Forces personnel from three wars and see their pictures. I have started to add more pictures of Maggie and her troops on this page BUT it is still under some construction. FRENCHY--Learn about Maggie's friend Rolande "Frenchy" Amundson. BOOKS--Check out the books written about her. ORDERS--You can now order my books on this page. LINKS--Visit other sites to learn more about her. 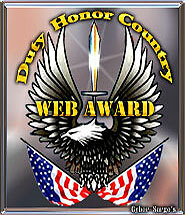 OUR AWARDS--I have received my first award for this site! FEEDBACK--Please tell me what you thought of her. Use the buttons below or on the top left side of this page to visit the other pages to learn about Maggie. 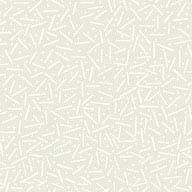 Let me know what you think of this site by sending email to me here. Copyright 2000-2016 by Noonie Fortin. All rights reserved.